It’s safe to say that most retailers still don’t get today’s consumer, despite the fact that talk about the changed shopper keeps pointing to three key demands: differentiation, personalization and immediacy. 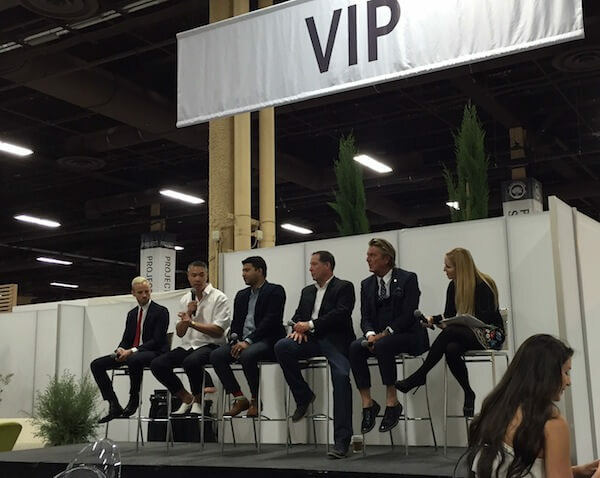 At a Project talk dubbed “Breakfast with the Disruptors” and hosted by Pivot, Fung Global Retail & Technology and First Insight in Las Vegas on Monday, five experts dissected what the modern man wants from his apparel and how retailers will need to get it to him. Men today are generally more likely to dress themselves, more interested in what they wear and not at all eager to look like Average Joe. Put plainly, “People are looking for differentiated products,” said Nelson Mui, men’s fashion director at Hudson’s Bay. And in response, Hudson’s Bay (which operates its namesake store, Lord & Taylor, Saks Fifth Avenue and seven others), has been adding stations in its stores where shoppers can personalize things like bags with patches and embellishments. The retailer is also creating in-store spaces that are less brand designated than they have been in the past. Differentiated products and personalization is also about individualization, said GQ’s digital style director, Matthew Sebra. “Guys want those special pieces they can’t get everywhere else,” he noted. With consumers ever changing and retailers ever at a loss for how to cater to them, retail has reached a tipping point. Now, retailers have little choice left than to figure out the dynamic nature of the group they want to sell to. That need for immediacy has been fueled by both technology and the increasing availability of fast fashion. But if brands don’t truly grasp their buyers, not even fast fashion will be able to help them keep up with their consumer. Brands, as Petro said, are at risk for being “on the back end of that tipping point looking at old stuff” while consumer behavior changes at warp speed. Shifts in the greater market have also contributed to the altered consumer. For one, millennials are the largest workforce in the country currently, and coupled with Gen Z, half of the U.S. population is now under 35, Nick Graham, CEO of the modern menswear line of the same name, said. What’s more, as Mui added, 99 percent of the companies in this country have a workforce of 500 or fewer. “You’ve got this incredibly entrepreneurial society happening where they don’t want to look like IBM,” he said. But catering to today’s consumer comes down to one thing, really. “The new way to understand the consumer is not at a category level, it’s at a segment level,” Petro said. Brands need to start looking at psychographics over demographics alone, and here’s why. An athletic wear brand, say, could have two customers with identical demographics, but one is what they’d call an authentic yoga practitioner, who buys the product for a physical activity they take seriously as part of their lifestyle, and the non-authentic yoga practitioner, who maybe takes the activity somewhat less seriously. And to engender feelings that compel consumers to buy, product on offer will simply have to possess elements that are uncommon. What’s The Future of Savile Row in an Athleisure World?